Demand for modular homes is booming in B.C. as first-time homebuyers and downsizers increasingly embrace this affordable construction method. From tiny homes to high-end single-family dwellings, factory-built housing can be built faster and cheaper than on-site. Modern designs and aesthetics are also appealing to a younger demographic, while the stigma surrounding modular housing is fading. 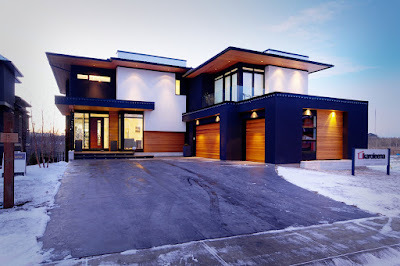 Modular homes are ideal for Vancouver because it’s a fast and effective construction method with minimal impact on neighborhoods and weather presents fewer challenges with modular construction. Demand is growing in B.C. to the point where businesses serving the market facing hiring sprees as they scramble to keep up with demand. Moduline, one of the largest builders in B.C., is continually adding to its staff at its Penticton factory, now at nearly 300 employees. The company also has a plant in Medicine Hat, Alberta, Canada. A growing number of modular home companies are catering to the high-end market by creating energy-efficient houses with slick designs. One example is Karoleena Homes, owned by Kamloops-based Horizon North. On the other hand, Horizon North is also involved in a number of affordable housing projects, including with the City of Vancouver. The B.C. government announced it will invest more than $6.6 billion over 10 years on affordable housing, and modular construction serves as a means to build it quickly. Horizon North currently employs 500 throughout B.C., 350 of which are directly involved in modular. It recently acquired Aldergrove-based Shelter Modular and has immediate plans to increase its workforce by a further 20 per cent. Another major B.C. player is Metric Modular, which also specializes in multi-storey modular construction including commercial buildings and multi-family housing. It’s currently working on a 220-bed student housing facility for Trinity Western University in Langley, which is being built in a factory in Chilliwack.